Sometimes it’s genetics, and sometimes it’s too much coffee — it doesn’t matter what the cause of your teeth discoloration is, what matters is fixing it. At Weishaar & Weber Dentistry, Dr. Anthony Weber, Dr. Sue Weishaar, and Dr. Lori Weber offer a variety of teeth whitening options. From take-home kits to innovative LED light treatments such as ZOOM Whitening, at this Spokane Valley, Washington, office, you can whiten your teeth and get the smile you’ve always desired. Call today to schedule your initial consultation or book online. At Weishaar & Weber Dentistry, you have multiple options for professional teeth whitening. In some cases, your dentist may suggest a take-home whitening treatment that involves wearing a custom-fit tray. In other circumstances, they may offer Philips Zoom, which comes in two different varieties. You can choose the in-office treatment or a take-home option. How does traditional at-home teeth whitening work? When you visit Weishaar & Weber Dentistry, your dentist checks the shade of your teeth and develops an individualized treatment plan. They then create a custom-fit tray that holds a whitening gel. Depending on your teeth and lifestyle, your dentist recommends wearing the tray during the day or at night for a specific period, determined by the condition of your teeth and your whitening goals. Once you’ve completed the whitening treatment, a follow-up appointment is scheduled. This follow-up allows the dentist to see if you’ve reached the optimal whiteness for your teeth. If not, they prepare another treatment. If so, they explain how to maintain your teeth whitening results. How do Philips Zoom teeth whitening treatments work? The Philips Zoom take-home treatment consists of wearing your trays for 30-90 minutes a day for two weeks. When you want quicker teeth whitening results, Philips Zoom also offers an in-office treatment option. Using a whitening gel and a blue LED light, you get teeth up to four shades lighter in just 2 hours. If teeth stains and discoloration make you feel self-conscious, consider professional teeth whitening services. 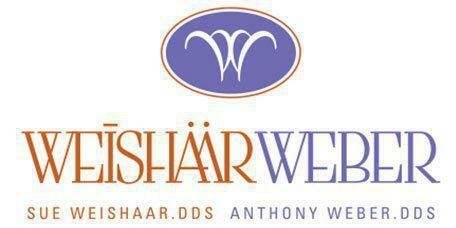 You can schedule your appointment with Weishaar & Weber Dentistry online or call the office to book.